Google introduced Inbox a few years ago as the alternative Gmail client. The app quickly grew in popularity although it was never as popular as Gmail. Gmail is pre-installed on most Android devices after all. And Google wasn’t very keen on marketing Inbox much either. So perhaps killing it down the line and incorporating it’s best features in Gmail was the plan all along. 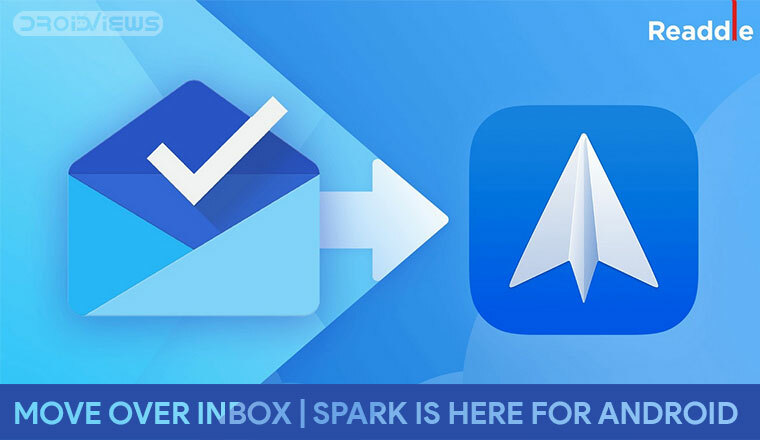 In other news, Spark for Android is here and if you were looking for an Inbox alternative, it’s a great one. Maybe even better than Inbox. For those not in the loop, Spark is an email app by Readdle and has been around for a while on iOS and macOS. With the demise of Inbox, Spark looks to make the most of the space created, with an Android launch. The app has enjoyed a lot of popularity on both iOS and macOS before. The app is now available on Google Play for devices running Android 6.0 or higher. One of the main reasons people loved Inbox was because it was clean, it made managing your inbox easier. One of the main features of Spark is to help you focus and quickly see what’s important when you’re checking your inbox. In other words, essentially what Inbox did. The Smart inbox feature bubbles up messages from real people. Thus, separating them from marketing emails or emails from companies. This allows you to quickly see what’s important. The app even sends notifications when you get emails from people you know, not when Amazon wants you to check out new products. This ensures that you’re not constantly getting pinged for by emails you simply will delete without reading. There are also many other nifty features like snoozing emails for later. Another great feature is Send Later which lets you schedule emails, great for marketing professionals. You can even set reminders to follow-ups so the app will notify you when your email hasn’t been responded to after a certain amount of time has passed. If you often sign your emails Spark hides another useful feature for you. Before you send an email, quickly swipe to choose the right signature for the occasion. As long as everyone on your team is using Spark, you can invite teammates to discuss specific emails and threads. Ask questions, get answers, and keep everyone in the loop. It also lets you collaborate with your teammates using a real-time editor to compose professional emails. Users can create secure links to a specific email or conversation and share the link on Slack, Skype, CRM, or any other medium so the team can see it and collaborate around it. One of the best things about Inbox was also its swipe gestures. 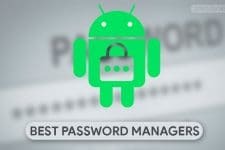 It allowed users to quickly archive or snooze emails by swiping them left or right. It was an intuitive way to interact with emails and was later also brought on to Gmail. Swipe gestures on Spark are even better because they offer more choice. A quick swipe from the left lets you mark an email as read or unread while a quick swipe from the right will pin it. Perform a long swipe from the left and right, however, and you can quickly archive an email or delete it respectively. There are no theme options which is what I expected going into settings labeled “Personalization.” There are some really great things here too though. You can customize the menu items you see in the side menu drawer. The best part of this personalization though is the ability to customize the swipe gestures. Maybe you delete more emails than pin them so you may want to set delete as a quick swipe action. 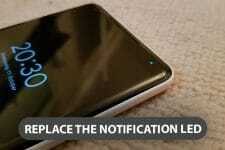 The app lets you do that and more. You can even change how many widgets you see when you open an email and where you see them. All that above must seem like a paid review but we can assure you, nobody got paid for this, not by Spark for Android. It’s simply an email app that does so many good things and it’s hard to find fault without comparing it feature by feature to something which is more feature packed. Whatever Spark does, it does it well and we don’t think it will leave you complaining. I would’ve complained about the default swipe actions but it includes the option to change them as you want. Keep in mind this app is new on Android but not really new. It has been around for a while and is also quite popular so it has had enough time to develop into the great app it is today. It’s also free so it can’t hurt to try and make your own mind about it.